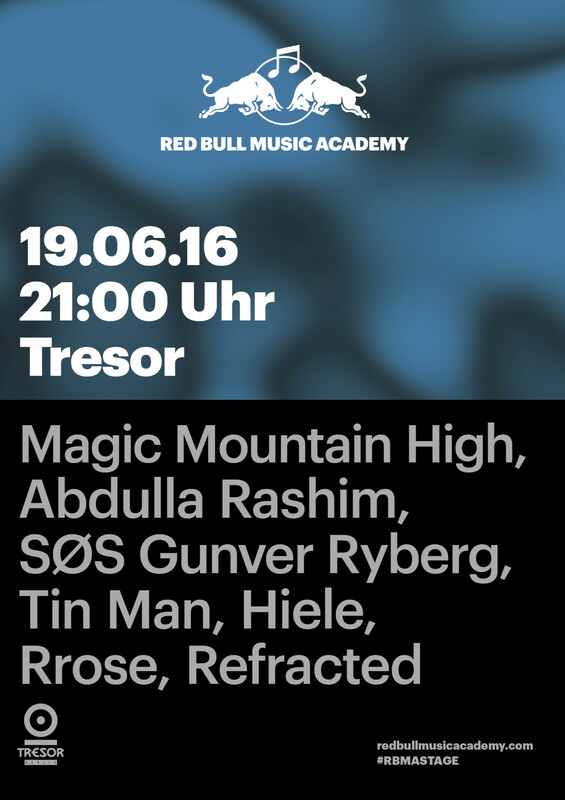 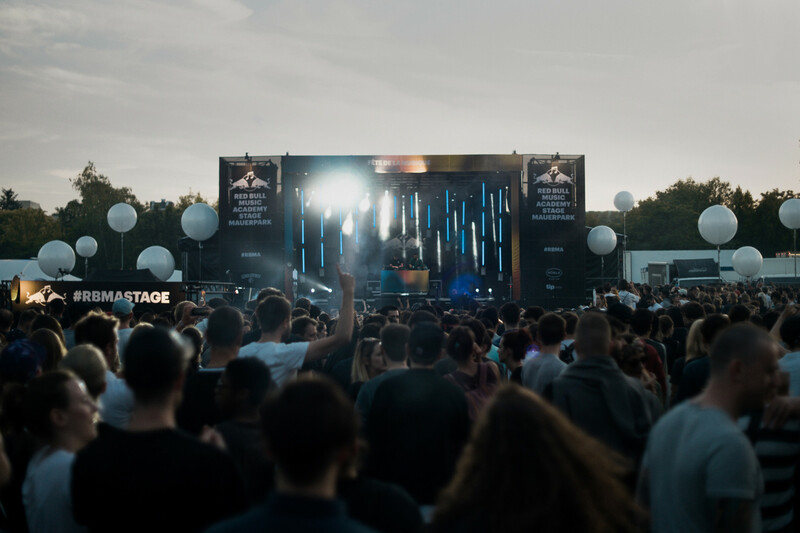 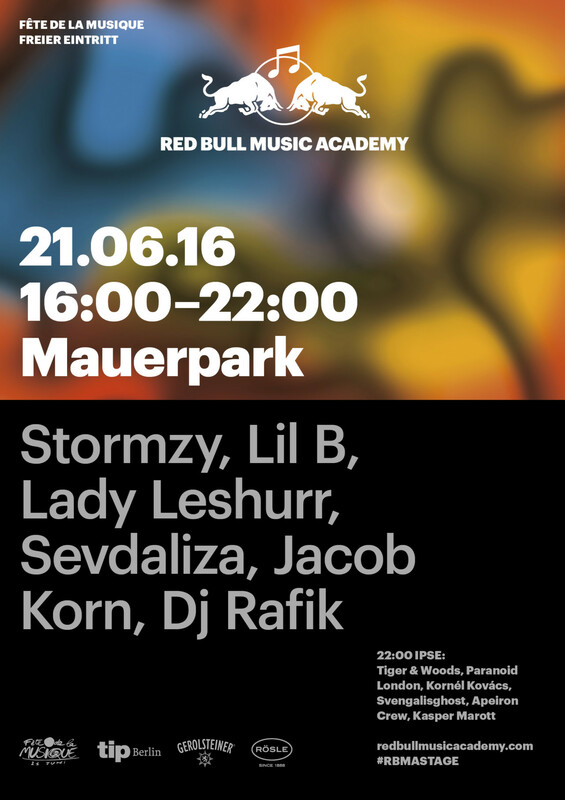 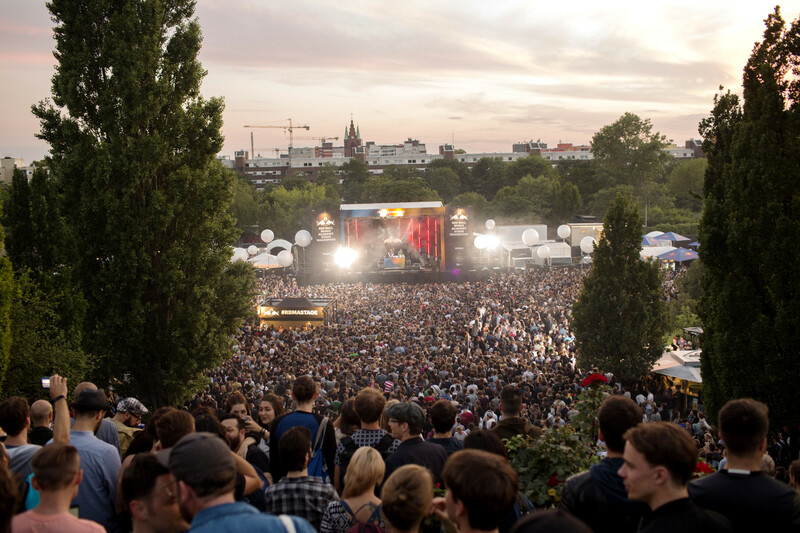 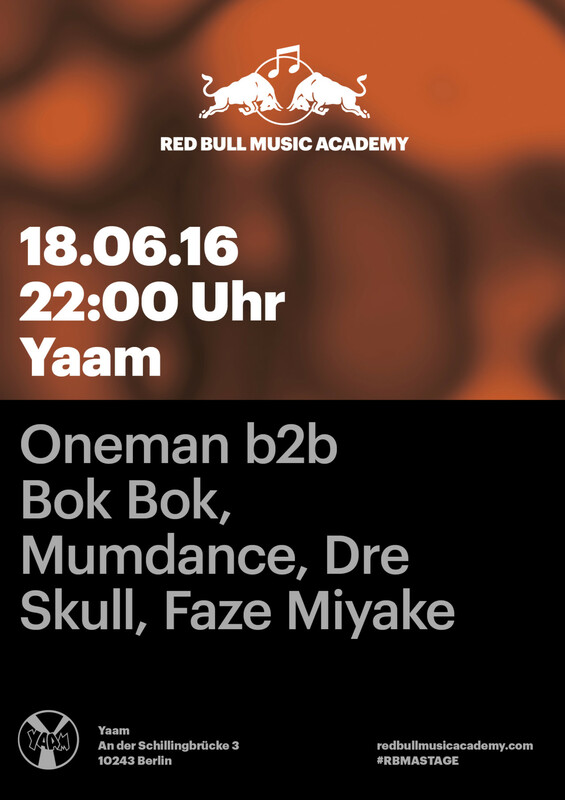 For the third time, Red Bull Music Academy presented its stage at Berlin’s Mauerpark, in conjunction with Fête de la Musique. 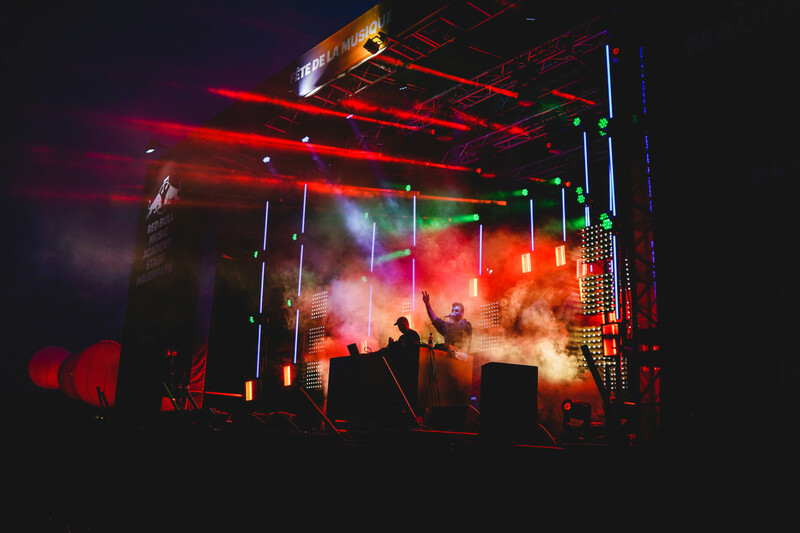 In 2016 they were warming up for the open-air event with a club weekender, and bringing the evening to an end with a grand indoor and outdoor finale. 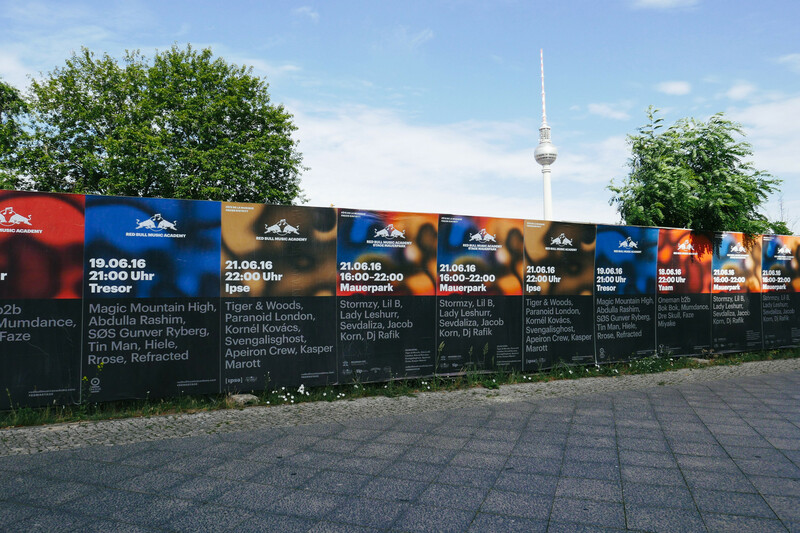 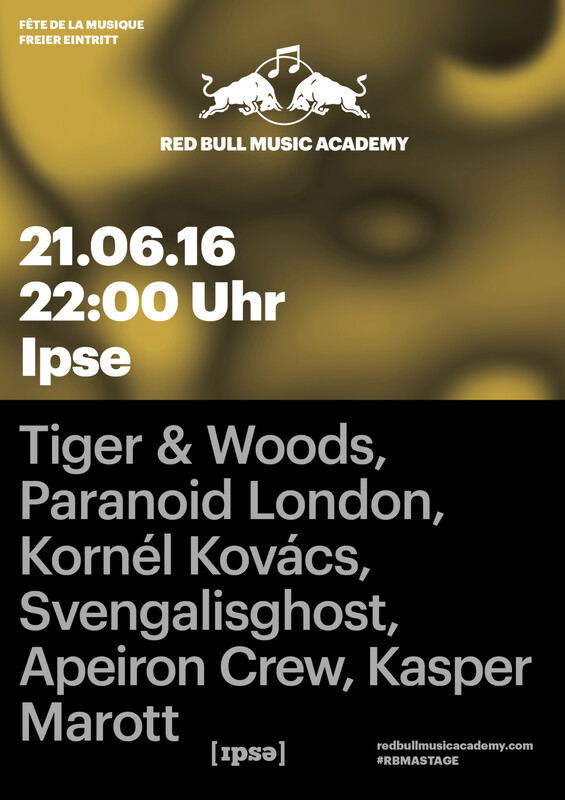 Additionally to the event at Mauerpark they presented three club nights at some of Berlins finest clubs. 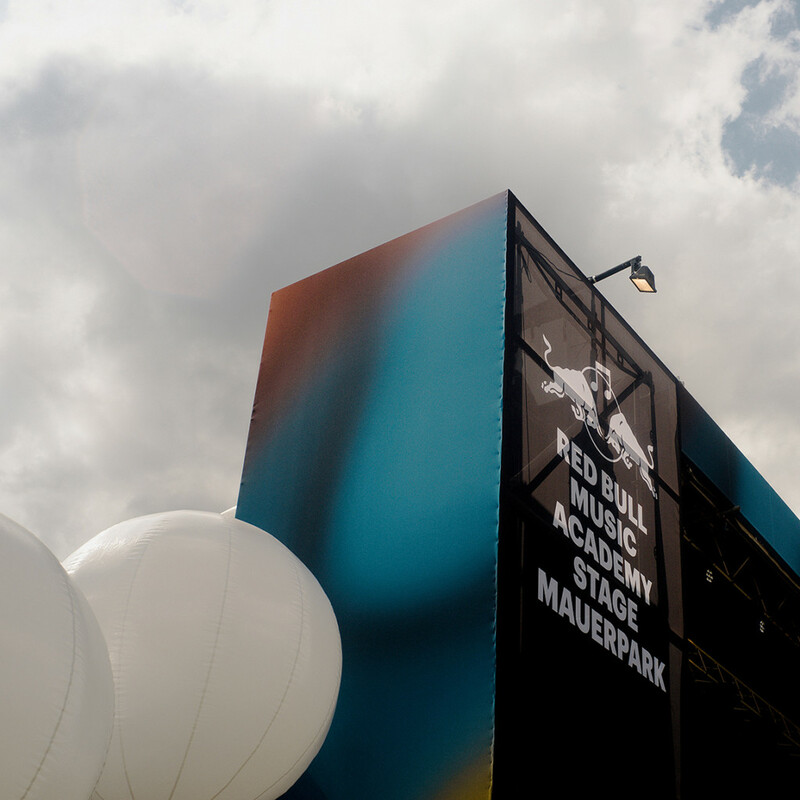 Design of all printed matter, digital assets and stage design.